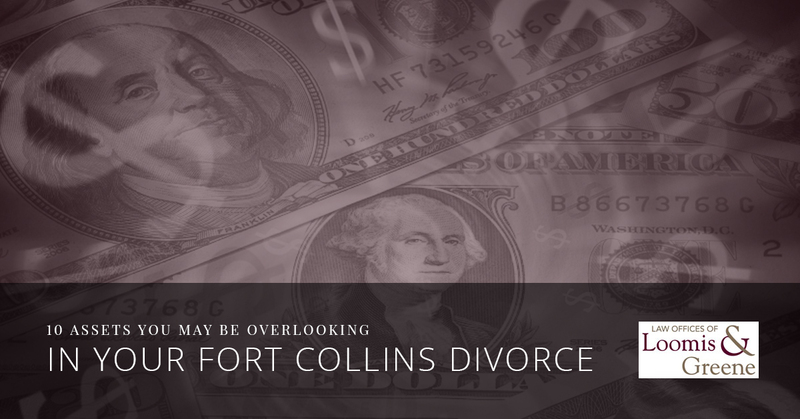 Divorce Attorney Fort Collins:Are You Forgetting Certain Assets In Your Divorce? Going through a divorce is never an easy process. There are so many things you have to consider when you are splitting your life and the life of your spouse. Not to mention, the bickering that takes place because of financial issues can easily take a toll on your emotional well-being. Decisions surrounding child support and spousal maintenance will occupy most of your time when trying to come up with an agreement that will work for both people who were involved in the marriage. However, there are plenty of issues that tend to fall to the waysides since there is so much going on. Overlooking assets can happen fairly easily when you think about everything else you have on your plate. Here are some of the assets that we see divorcing couples forget about when they are working towards the final steps of their split. You should always make sure that you look into the status of your past employer-funded retirement plans when you are getting divorced. You or your spouse may have forgotten about them, or an existing 401(k) plan. If these assets exist, they can be split between the couple when the divorce is final. Whether you both share a gym membership or you belong to a local country club, it’s likely that there are clubs you and your spouse have gone in on together throughout your marriage. This could be an asset you end up dividing since most memberships cost a pretty penny. While there may not be any money that can come from the photographs you share with your spouse, these invaluable and irreplaceable items are going to go to one of you. In the case that both partners want the photos, they should agree to split the cost to have the photos duplicated to avoid additional issues. While this may not apply to many people, it does to some. If you or your spouse purchased a lottery ticket that resulted in winnings, these winnings are considered to be marital property and therefore should be split evenly during the divorce. If you or your spouse has registered trademarks, patents, copyrights, or royalty rights, these are all things that need to be split in the divorce. Any and all intellectual property rights need to be addressed even if they are not or have not generated income. This is not an asset that divorcing couples often forget about. In fact, a family pet is often a huge point of contention when a marriage is being dissolved. For the most part, the pet will be given to the spouse who has taken the most care of it in the past.Alternatively, the pet may be awarded to the person who has the most flexible schedule. If you are adamant about having custody of your pet, be sure to let your attorney know as soon as possible that pet ownership should be made a priority. The time of year during which you are getting divorced can affect this asset, but if it is around tax season, you may forget to look into a past or pending tax refund. Look through all of your financial documents to ensure that there are no refunds due to that would have to be split between you and your spouse. One of the most commonly overlooked assets in a marriage are airline frequent flyer points. Plane tickets are not cheap, so if you or your spouse have a good amount of air miles saved up, those should be split evenly between the two of you. If that is not an option, the spouse who keeps the miles should compensate the other as a means of splitting this asset properly. If you and your spouse have a timeshare, there are a couple of decisions you will have to make in regards to it. First of all, do you want to keep the timeshare or sell it? Would you both like to continue paying on it evenly or should one spouse take over payments entirely? Regardless, be sure to make a decision in order to prevent any future incidents regarding this property. 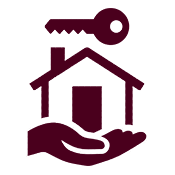 Need A Divorce Lawyer in Fort Collins? If you want to make sure that you have all of your bases covered, you’re going to need an experienced lawyer in Fort Collins to help you. We will make sure that all of your assets are accounted for and work to get you to the outcome you desire. Contact our law offices today to set up a consultation.